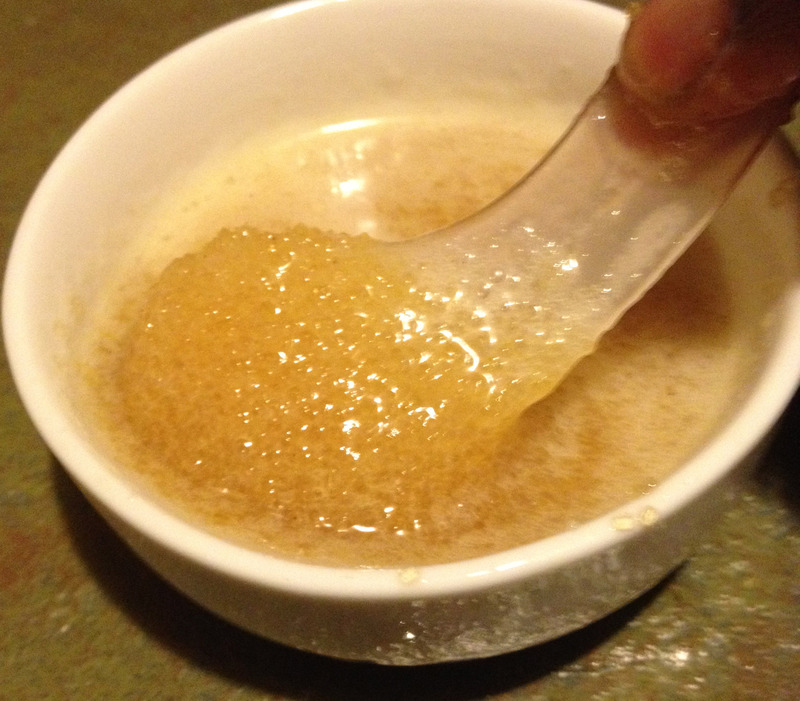 HomeProduct ReviewGet Your Summer Glow with Just Natural’s Turbinado Brown Sugar Body Scrub! Not all sugar scrubs are created equal. Take, for example, Just Natural’s Turbinado Brown Sugar Body Scrub–your skin’s new best friend. Just Natural Hair and Skin Care is a relatively new line that offers a wide va riety of skin and hair care products, which are cruelty free, natural and organic, alcohol/chemical free and made in the U.S. Their website, justnaturalskincare.com, boasts an extensive list of plant-based ingredients that you aren’t likely to find in other products. The Turbinado Brown Sugar Body Scrub, is just one of several body “polishers” in the Just Natural line. The 16 oz. tub comes packaged in a canvas bag, (as seen in the photo), and has a plastic applicator for stirring and scooping. Made with freshly cut sugar cane, the scrub is said to “revitalize skin by gently exfoliating and buffing away dullness.” I would absolutely agree with that assessment. I’ve used the scrub both in and out of the shower, and I love how smooth and soft my skin feels each time. I was a little leery when I first opened the jar because there was so much oil at the top. It wasn’t as thick or coarse as I anticipated, even after stirring. I realized, however, that because the scrub is less grainy, it is gentler on my skin than other scrubs I’ve used in the past; but it’s just as effective. I can use the scrub as often as I want and not feel like I’m scraping or tearing my skin. No redness, no stinging, no irritation. While there are no artificial fragrances included, the scrub does contain essential oils of orange, lavender and lemongrass–giving it an incredibly fresh, citrus aroma that will stay in your towel for days. (Literally, three days later, my bath towel still smelled wonderful.) It’s a terrific summertime scent straight from the shower. My one caution in using this product is to be mindful when using in the shower. The oils will make the shower floor slippery as they’re rinsed away. This happens with any oil-based product, so just be aware. With temperatures on the rise, we’ll all be showing more skin in the coming months. If you’re looking for something to give you that extra glow and keep your skin soft and moisturized, give Just Natural’s Turbinado Brown Sugar Body Scrub a try. Your skin will feel incredible and you’ll smell delicious to boot!